Welcome to Alfano Mercedes in San Luis Obispo. The home of luxury car buying experience. 2018 Mercedes-Benz Metris Passenger Black RWD 7G-TRONIC 7-Speed Automatic 2.0L 4-Cylinder Turbocharged DOHC. Price doesn't qualify for 0% APR or for lease. $2,500 - Exp. 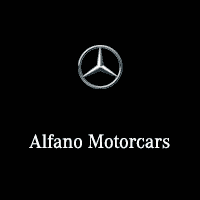 03/31/2019Welcome to Alfano Mercedes in San Luis Obispo. The home of luxury car buying experience. 2018 Mercedes-Benz Metris Passenger Black RWD 7G-TRONIC 7-Speed Automatic 2.0L 4-Cylinder Turbocharged DOHC.